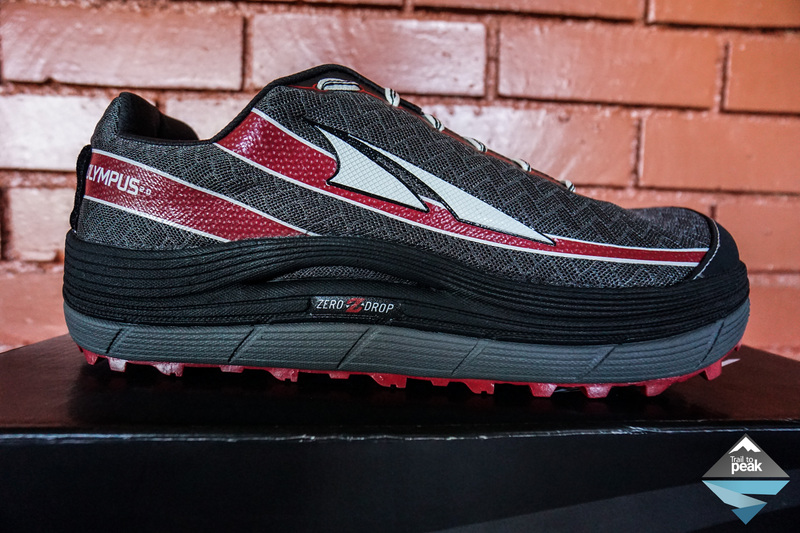 The Altra Olympus has arrived, and things are looking pretty awesome! It’s been a lot of fun to watch the evolution of Altra from a small startup company to a major player in the shoe market. With their zero drop and wide toebox DNA in every shoe, Altra has provided comfortable and functional shoes that athletes absolutely love. The Altra Lone Peak has been one of the most popular shoes on the PCT and JMT over the last two years, and it’s easy to see why. Altra shoes give the toes room to splay, with no friction or rubbing, and the zero drop provides a wonderfully stable platform. One of the new trends in hiking and trail running is the craze of maximalism. Started by Hoke One One, shoes with fat and thick midsoles have been gaining market share every month for the last two years. I saw the value of this for trail runners, but never thought it would take off in the hiking world. I was wrong. Just this summer, the number of hikers wearing maximally cushioned shoes grew by leaps and bounds. Altra’s Olympus, looks to be a major player in this market, and has all of the right attributes and tools to do so. Below, you will find my unboxing preview of the shoe, and after I can log some proper miles, I’ll give an updated review. I did quite a bit of trail running in a pair of the Olympus 1.0, so I’ll use that shoe as a reference to the 2.0. I usually wear a 12.5 in my trail running and hiking shoes, and the Olympus is no different. This shoe fits true to size for me, and similar to the new Lone Peak 2.5. I love how Altra has refined their designs. I think the best word to describe the evolution of the Olympus 2.0 and Lone Peak 2.5 is precision. The fit and feel of these new Altra’s is top notch. The upper on the Olympus 2.0 gets a complete update. It’s radically different than the 1.0, and marginally different than the 1.5. The upper is made of a breathable tight weave, that looks to do an awesome job at keeping debris out, while maintaining the great breathability of the earlier models. The upper of the 1.0 was a little porous, so I’m really happy to see this update. This new upper just feels really nice on the foot. It’s flexible and soft, which should be great for long runs. Just like all other Altra trail shoes, the Olympus 2.0 comes with the Gaiter Trap Velco tabs on each heel. The foot shaped toe box incorporates a new toe guard, much like the Lone Peak 2.5. I think that is a consistent theme I found with this new Olympus, it feels similar to the Lone Peak 2.5 with the upper. In my opinion, that’s a very good thing. The midsole is what sets this maximalist shoe apart from the Lone Peak 2.5, and sets it next to it’s counterparts from Hoka. The Olympus 2.0 has a 0mm drop, with a 36mm heel and forefoot. The cushion upon first wear is similar to the Olympus 1.0 that I put a lot of miles in. I know many love the softness of the midsole, but I wish it were a little more firm, maybe a compound like Altra uses with their Paradigm. That’s another shoe I’ve done a lot of running in, and that midsole is just about perfect. I love a dense shoe though, so keep that in mind. If you like a soft to medium soft midsole, this shoe will be perfect for you. The midsole starts with the Altra A-bound layer which is the thin energy return slab of cushion that sits right under the foot. After that, Altra uses a dual layer EVA midsole slab for impact absorption and energy return. Much like the Olympus 1.0, the 2.0 has a gradual amount of toe spring, which is the upturn of the toes to propel the runner forward. I’m really liking the feel of this midsole, and think that lovers of previous Olympus models will feel at home with this new 2.0. The new outsole on the Olympus 2.0 is the most exciting thing about this new shoe, and maybe one of the most exciting things for Altra in general. The Olympus 2.0 has a brand new Vibram Mega Grip outsole! This is huge news for Altra fans, and all of you who ran in previous versions of the Olympus. The outsole on the Olympus 1.0 and 1.5 was not very good. The tread was shallow and oddly designed, and the compound used was not very durable. This was really the only big knock on an otherwise very well designed shoe. This new outsole takes the 2.0 into the level of elite status, and should make many trail runners very happy. Vibram is known for designing very functional and durable outsoles, and the Megagrip compound is used all over the industry by leading shoe manufacturers. The tread pattern of this new Olympus looks aggressive. With thick lugs all over the outsole, I’m sure this thing will grip much better than the old outsole. One of the biggest complaints of the old outsole was that it was virtually useless (and dangerous) in mud or slick conditions. That complaint will probably all but disappear with the outsole update. The sizing, spacing, and directional pattern of the lugs, looks to offer a nice package to combat rocks, roots, leaves, mud, and anything else a trail can throw your way. The only problem area I’m seeing on the new outsole is the area of non coverage and exposed EVA. If you look closely at the pictures, the L shaped lugs in the middle of the outsole are not Vibram Megagrip. This can be good and bad. The bad is that this section may not be very durable. The good is that a full coverage outsole lacks in flexibility, whereas removing this section of rubber will offer better flex. The removal of a full coverage outsole also decreases the weight of shoe. Only time will tell how this section of the outsole holds up against rocky terrain. I’ll make sure to detail this in an updated wear review once I’ve logged enough miles. The price of the Olympus has increased to $150, probably from adding a Vibram sole. This price point is a little high, but on par with similar offerings from Hoka, Salomon, and other leaders in trail running. If you enjoyed your experience in the Olympus 1.0 and 1.5, make sure to grab this shoe, as it surely is an improvement on previous models. This is also a great shoe for those running in Hokas, but find the lasts too narrow, and toe boxes too constricting. Finally, make sure to let me know your thoughts on the Olympus if you’ve had a chance to run in this new model! altra footwear is the best thing since my Birkenstock-footprints sierra model(which they discontinued) I wore them in Afghanistan((it would be nice if someone in the shoe world would make a military boot zero drop with the toebox shaped like a human foot )) all of the boots they have now is with the heel and very limited total space-this is why the AV is inundated with military personnel with back problems: when you’re caring around in excess of 80 pounds, pop flares, smoke grenades ,hang grenade ,12 Plus 30 round clip magazines, kevlar helmet, kevlar vest with ballistic trauma plate, assault rifle M4(Plus SideArm 9 mm) +8, 15round clips for Beretta operational equipment , radio radio batteries, Night vision goggles,( aim point) and flashlight affixed to weapon-Plus try to lead a team in the dark((oh I forget to mention food and water-medical kit))+ E&E escape evasion kit—you would think the lightbulb would go on in somebody’s brain. So can you check on it for me no elevation in the heel maximum To- space shaped like a normal human foot’ . PS 24 years military service, God speed. altra footwear is the best thing since my Birkenstock-footprints sierra model(which they discontinued) I wore them in Afghanistan((it would be nice if someone in the shoe world would make a military boot zero drop with the toebox shaped like a human foot )) all of the boots they have now is with the heel and very limited Toe space-this is why the AV is inundated with military personnel with back problems: when you’re caring around in excess of 80 pounds, pop flares, smoke grenades ,hang grenade ,12 Plus 30 round clip magazines, kevlar helmet, kevlar vest with ballistic trauma plate, assault rifle M4(Plus SideArm 9 mm) +8, 15round clips for Beretta operational equipment , radio radio batteries, Night vision goggles,( aim point) and flashlight affixed to weapon-Plus try to lead a team in the dark((oh I forget to mention food and water-medical kit))+ E&E escape evasion kit—you would think the lightbulb would go on in somebody’s brain. So can you check on it for me no elevation in the heel maximum To- space shaped like a normal human foot’ . PS 24 years military service, God speed. Thanks for the comment, Jon! I agree, that it can be very tough to find boots with any sort of natural last or fit. Interesting to hear about the number of military personnel with back problems. I’ll try to dig and do a little research on this. I’ll let you know if I find anything. It all depends on how much cushion you need, and the types of trails you’ll be on. I prefer the Lone Peak because they are much more stable and provide all the cushion I need. The Olympus is a bit overkill for hiking and the stack height in the midsole can cause some real instability when your pack weight increases. If you’re just using them for speed ascents or fastpacking, you’ll likely be fine. I’ve seen a lot of people wearing Hokas lately for this purpose as well. I have now had two pair of Olympus 2.0s and the durability is not good. The first pair failed after 90 miles and the second at about 140 miles. The uppers rip out at the junction with the sole on both sides. These are not durable as my prior Olympus’s and Lone Peaks routinely get 400-600 miles. Beware, these shoes will not last. Altra needs to fix this. I have to concur with you, Brad. These don’t last as long as my other shoes. I usually get about 300-400 hard miles out of my trail runners. These didn’t make it to 100. Same goes for me. I had 200 miles on my 2.0’s and then took them for a spin on the Evolution Loop last week and they fell apart early day 2. Thank goodness for Gorilla tape getting me thru the trip. Thanks for the info, Barry. I’m hoping to do the Evolution Loop pretty soon. Good to know the Olympus were not up for the challenge. I have 2 pairs of the 2.0 and have experienced great wear with them. I did the Superior 100 race in a pair and they stood up with no issues and performed amazingly on all surfaces even on wet wooden bridges. They were very good in hours of rain both traction and draining water. I am extremely happy with them. That’s great to hear, Jeff. Thanks for the wear report. Awesome shoes. I don’t even run but I hike, and walk. I often go with my dog and I go in areas that aren’t easily accessible with regular shoes. I’ve been a fan of Merrill and Keen in the past but I wanted something I would be comfortable going to the gym. Altra Olympus 2.0 has it all. It delivers like a true hiker in the woods. I had no problem on the trails near my house. The vibram sole performed as expected. The next day I took these to the gym and were perfectly comfortable on the elliptical. I have wide feet but so I need a wide shoe to accommodate my feet. The Olympus 20 fit perfectly. I was like I was on a cloud. I really like the zero drop on these I won’t lie they are expensive but well worth the money. Thanks for the info, Chuck. I don’t do much running, so it’s nice to hear from a fellow hiker!